Shoreline Endodontics | Are Antibiotics Really Necessary? Antibiotics are unnecessary with the majority of endodontic cases. Read on to learn more, and thanks for visiting Shoreline Endodontics of Groton, CT.
I’d like to eliminate some of this misperception about the use of antibiotics for patients with disease of endodontic origin, and suggest that most of the antibiotic prescriptions dispensed for tooth pain are unnecessary, and in fact, inappropriate. Not all diagnoses warrant antibiotic therapy Before prescribing any drug, an appropriate diagnosis must be made. If the diagnosis warrants the need for antibiotics, then the most appropriate medications may be assessed. 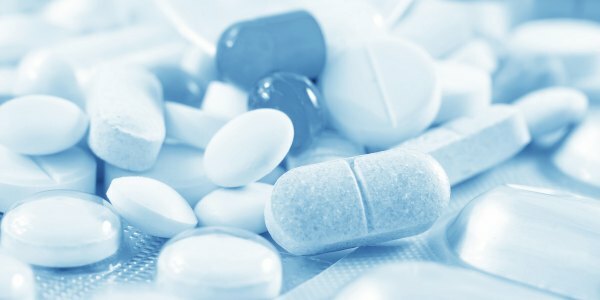 According the Center for Disease Control and Prevention (CDC), nearly half of all antibiotic prescriptions are improperly dispensed. This certainly seems to be the case in dentistry since antibiotics are routinely prescribed for patients in pain – especially pain suspected to be of endodontic origin. Pain by itself, however, is an inappropriate symptom to treat using antibiotics as no reputable clinician would prescribe antibiotics to treat back pain. When a dental patient in pain is determined to have an irreversible pulpitis from deep caries and implying a vital pulp, the appropriate treatment is endodontic therapy or extraction along with pain medication. If a patient presents with pain of odontogenic origin and the diagnosis is necrotic pulp, the pulp may or may not be infected. In either case, the appropriate treatment is once again, endodontic therapy or extraction. In other words, the source of infection or potential infection should first be removed. If the patient is swollen, has swollen nodes and an elevated body temperature, this may suggest systemic involvement and the presence of an infection too severe for their natural immune system to handle. Only in these rare circumstances would antibiotic therapy be indicated. Again, let me say that antibiotics are rarely required in outpatient dental treatment and their overuse is causing more harm than good. According to the CDC, antibiotic resistance is so common that it has been a concern for years and is considered one of the world’s most critical public health threats. Know your antibiotics If antibiotic therapy is indicated, selecting an antibiotic with the narrowest spectrum that includes the most likely pathogens would be the most efficacious route and result in the fewest side effects – which include antibiotic resistance of organisms without dental implications, nausea, diarrhea and dyspepsia. For patients requiring antibiotics secondary to an infection of endodontic origin, the antibiotic of choice is still penicillin V. Although amoxicillin is by far the most frequently prescribed antibiotic based on my experience, it has a broader spectrum than necessary that can lead to unnecessary side effects. Its advantages over penicillin are its increased bioavailability requiring less frequent dosing. Therefore if it is used, it should be prescribed three times a day. Acidic Drinks Can Damage Kids’ Teeth Permanently, Expert WarnsWhat is Oil Pulling?